If you wish to reduce heat loss from your home and save money on your energy bills, insulating your home is the best place to start. Insulation will keep the heating in the house, and therefore prevent any needless heat loss through the walls, roof, windows, doors and floors of the building. To fully insulate the building, it should be covered from the foundations right up to the roof but this can be restricted by the type of building. Two main areas where the most heat is lost in the home is through the walls and the roof – as much as a third of heat lost from an uninsulated building occurs through the walls while around a quarter of heat escapes through the roof. This means that by starting with these two areas, you will effectively be reducing the amount of heat lost and start making a big saving on bills sooner. This acts as a defence against heat loss and evenly distributes heat around the home. Depending on whether you have cavity or solid walls, you will need different types of insulation. The downside being wall insulation tends to be significantly more expensive to install than loft or wall insulation. If your home has cavity walls then the gap between the two walls can be easily filled by injecting the insulation through a small hole in the outer wall which is then plugged back up. The amount of insulation a property with solid walls will need is dependent on the type and size of your home but you can either insulate internally or externally. Installing external solid wall insulation usually involves fixing a layer of insulation material to the wall before covering with cement or cladding which means that the appearance of the building changes. It can be, though, the more preferable option as it means that the internal structure and appearance of the home is not affected. Internal solid wall insulation involves fixing rolls or boards of insulation to the inside walls and can be a cheaper option when compared to external insulation. It should be noted, however, that this method reduces the amount of floor space in the room. Extremely effective at keeping heat from escaping through the roof, loft insulation is relatively straight forward to install if you have no problems with damp or condensation. It involves laying down insulation blankets across the surface of the roof. It’s worth knowing about the variety of insulation materials to choose from – the right one will depend on your home and requirements. If you already have insulation in your loft, check it has an adequate thickness, and if it’s on the thin side, don’t hesitate to top it up because you could make further saving on your energy bills. Next on your list should be ground floor insulation. An insulated ground floor will help save you more money on bills but again, the type of insulation your home needs depends on differing factors. Many homes are built with solid concrete floors and to prevent heat escaping through them, a layer of rigid insulation can be laid on top. Older homes with suspended timber floors, meanwhile, can be insulated on the ground by lifting the floorboards and laying mineral wool insulation between the joists. Modern homes tend to inhabit slabs of polystyrene insulation below the concrete floor surface enviably this reduces the amount of heat that is lost. You can also insulate your floor through draught proofing using sealant to fill the gaps between the floorboards, skirting and floor. Add an insulating layer such as fibreboard or polyform under your floor covering. A rug- this wont solve all your insulation problems but will help block some draughts and feet warm. Energy-efficient windows work wonders for retaining heat in the home. 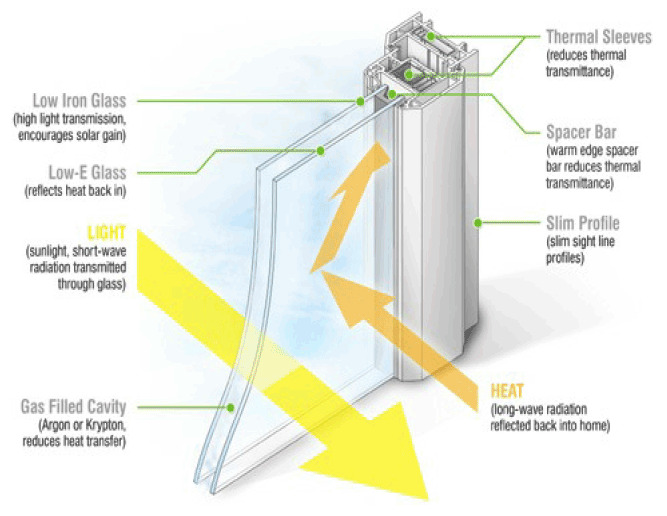 Double and triple-glazed windows consist of panes of glass separated by a layer of trapped air, and as air is a poor conductor of heat, it cannot escape therefore remaining in the building. In addition to the fact that they help reduce your heating bills, you’ll also benefit from thermal acoustic performance, smaller carbon footprint and enhanced security for your home. The costs will differ however for each home and each window depending on the size, material and installer. Double glazed should last 20+ years in most cases. If you can’t install double glazing some other alternatives to this are secondary glazing. This is where a second pane of glass and frame are fitted inside the existing window reveal. Though it won’t seal as good as double glazing it is significantly cheaper and will save energy. Heavy curtains, sealed blinds and shutters lined with a heavy material can reduce heat loss. In any home, there are areas where gaps and openings left uncovered create draughts. Windows, doors, floorboards, fireplaces, pipe work, loft hatches and letterboxes are all places where you can check whether cold air is entering your home and warm air is escaping. Blocking these gaps by installing draught excluders is one of the steps you can take to reduce the amount of heat leaving through these openings. If you are applying a total package of insulation, it’s important not to completely seal the building however do not seal the kitchen and bathroom windows in order to let the steam and create ventilation in the room. It’s worth noting that not all home insulation work has to be done professionally – as long as it’s safe, it can be cheaper to do the home improvements yourself if you can get the right materials from a DIY store or search online for retailers such as Insulation Giant for possible savings.